Light your campsite picnic table for an after-dark feast, read in your tent, change a tire, or signal for help with the CL26R Rechargeable Lantern in black from Fenix. This compact (3.8 x 1.9") light recharges by USB and delivers eight useful settings. 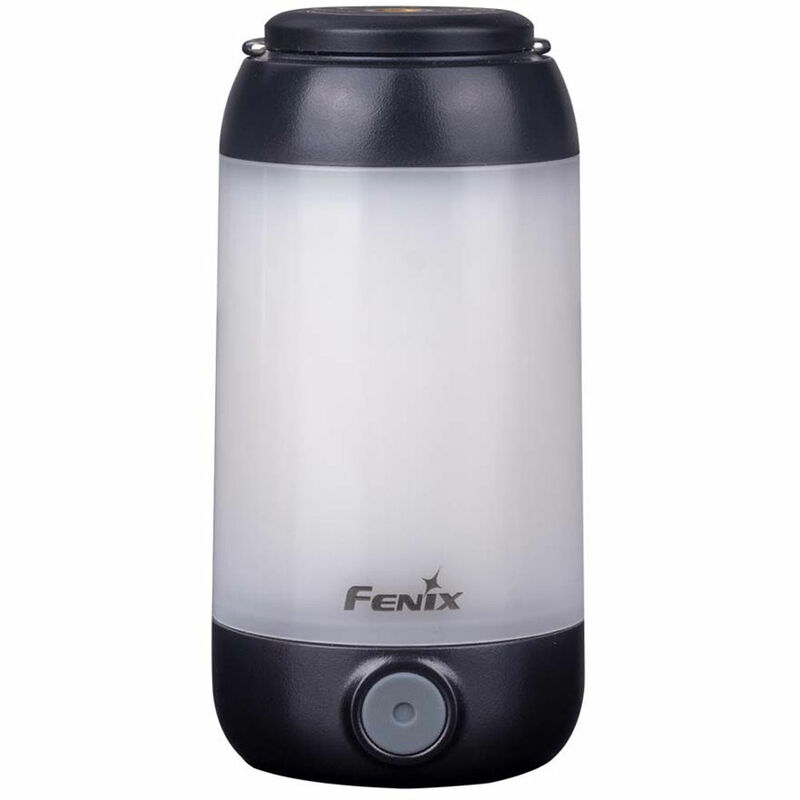 360° illumination at 400, 150 or 40 lumens, 25 lumens of front-facing light for tasks, downward-directed light at 3 or 25 lumens (hang it from your tent ceiling), and steady or flashing red light settings ensure all your lighting needs are met. You can hang the light by its top loop, affix its magnetized top to a metal surface like a car fender or the underside of a hood, or even mount it on a tripod. It's IP66-rated water resistant, so a shower won't leave you in the dark, and it weighs just 4.1 ounces (plus battery), so it won't be a burdensome addition to your gear.